Animals will often be more aggressive if they are injured. Be extremely cautious when approaching any potentially injured wildlife. If an injured animal is found and you know the number of a licensed wildlife rehabilitator in your area, you can call them for assistance. See Contact a Wildlife Rehabilitator for more information and contact numbers. You can also call the NC Wildlife Helpline at 866-318-2401 to obtain the name and telephone number of a licensed rehabilitator in your area. Bats, foxes, raccoons, coyotes and skunks cannot be rehabilitated due to the possibility of carrying rabies and should not be handled. Wildlife Enforcement should be contacted for any injured deer or black bear at 800-662-7137. I found a baby animal what should I do with it? If you have found a juvenile animal by itself, it is very important to first determine whether or not it truly is orphaned. Many animals will be left alone during the day so that predators are not alerted to their presence. If the animal does not have any visible wounds and appears active and alert, chances are it is not truly orphaned, and the parents are close by keeping an eye on things. It is always best to leave the animal alone and reassess the situation in 24 hours. If in 24 hours the animal has not moved, and there have been no signs of the mother returning, you should contact a licensed wildlife rehabilitator. You can find contact info here or call the NC Wildlife Helpline at 866-318-2401 to obtain the name and telephone number of a licensed rehabilitator in your area. Bats, foxes, raccoons, coyotes and skunks cannot be rehabilitated due to the possibility of rabies and should not be handled. There is a fawn laying alone. Is it ok? Just seeing a fawn laying by itself does not mean it has been orphaned. Fawns will be left alone for long periods of time until they are old enough to keep up with the mother. This allows the mother to forage for food without attracting predators to the location of their fawn. Fawns are often found hidden within tall grass or bushes, but they can sometimes be found in more conspicuous locations like backyards. If you find a fawn and are concerned it may be orphaned leave it alone for at least 24 hours to see if the mother returns. If the fawn has not moved after 24 hours and there have been no signs of the mother returning, contact the NC Wildlife Helpline at 866-318-2401. If I touch a baby bird will the mother abandon it? Birds do not readily abandoned nests because they “smell humans”. However, if a nest is repeatedly disturbed by humans (especially before the eggs hatch) a mother bird may choose to abandon the nest if she believes the area is no longer safe. If you find a young bird on the ground that is featherless or fuzzy and has closed eyes, try to locate the nest and gently place the bird back inside the nest. If the bird has feathers, open eyes, and appears alert it has likely fledged the nest and is being cared for by its parents on the ground. How can I become a Wildlife Rehabilitator? Becoming a Wildlife Rehabilitator is not a decision to take lightly. Applicants must be able to document their experience in the field, and acquire a Wildlife Rehabilitation Permit. Click here to see the rehabilitator guidelines, and here for upcoming training opportunities. Due to high risk for carrying rabies, the following wild animals should not be handled and cannot be rehabilitated: bats, coyotes, foxes, raccoons and skunks. Please, leave these animals alone. If your pet has brought one of these animals to you, contact your local veterinarian for advice. Other species that cannot be rehabilitated include adult deer, bears and wild turkey. Please note: It is illegal in North Carolina to keep most wildlife species without a permit. Volunteer wildlife rehabilitators are the only individuals that have proper licenses and training to provide care for wild animals until they can be released back into their natural habitat. It is common to find fawns left alone for long periods of time by the doe (the female parent). The doe knows when to return and will not do so if humans are around. The best thing you can do if you find a fawn is leave it alone for 24 hours or put it back where it was found, unless it is truly injured or orphaned. Even if it is injured or orphaned, it is okay to put it back or leave it alone. You can also call the Wildlife Permits and License Office at (919) 707-0060 or Wildlife Enforcement Communications at (919) 707-0040 to obtain the name and telephone number of a licensed wildlife rehabilitator in your area. 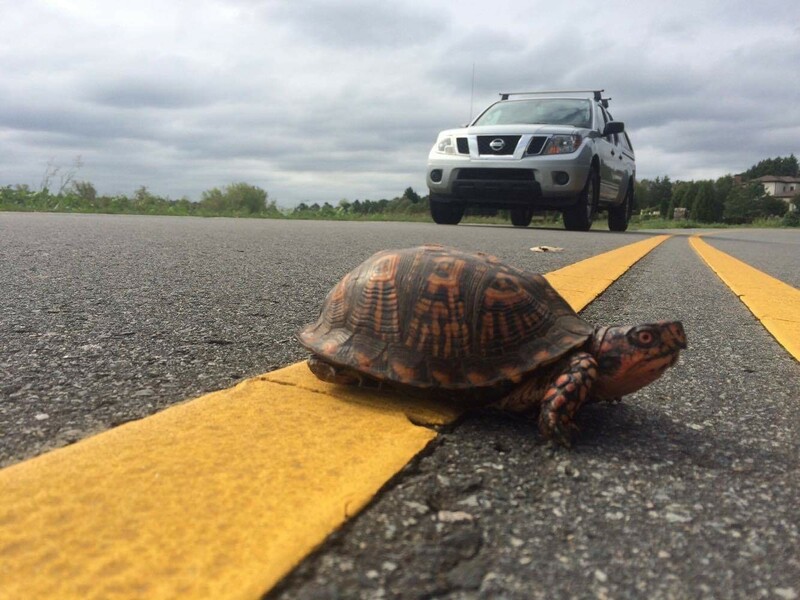 If the injured animal can be identified as an endangered or threatened species, contact the Wildlife Enforcement Division at 1-800-662-7137, or (919) 707-0040 or the US Fish and Wildlife Service at (919) 856-4786. If you have seen or harvested a sick deer, please call your local District Biologist or the Wildlife Helpline at 1-866-318-2401. For more information, see our Chronic Wasting Disease Fact Sheet (PDF).